Nureva Inc., an award-winning collaboration-solutions company, announces its participation in OEB Global in Berlin, Germany, from December 5 to 7, 2018. This is the first year the company will participate in this cross-sector event on technology-supported learning. Visitors to Nureva’s stand C40 can experience how Nureva products combine to create an active learning environment that empowers students to work together more effectively and creatively. Nureva will demonstrate the Nureva™ Wall WM408i system, Span™ Workspace and the HDL300 audio conferencing system. OEB Global is an annual higher education conference in its 24th year, bringing learning and technology together. This year’s conference is expected to attract over 2,000 education technology professionals from more than 80 countries to share ideas, examine the latest trends, and explore new topics in higher education. 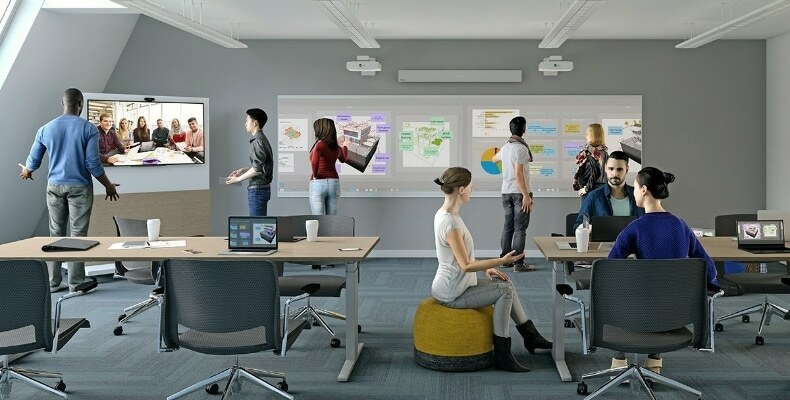 Nureva’s products are an ideal fit for post-secondary institutions that need to redesign or configure classrooms and labs to keep pace with the rise of dynamic, collaborative learning spaces that help prepare students for the workplace. According to the World Economic Forum’s Future of Jobs Report 2018, key skills that will continue to grow in prominence through 2022 include analytical thinking and innovation as well as active learning and learning strategies. Creativity, originality and initiative, critical thinking, persuasion and negotiation will also be in demand. Visitors to Nureva’s stand can directly experience how its solutions support the development of these skills through active learning approaches such as project-based learning, agile and design thinking, while easily extending the classroom to remote students. Our globally growing base of higher education customers is a testament to the increasing need for transformative solutions that support active learning strategies and approaches. The Nureva visual collaboration solution combines Span Workspace with the Nureva Wall. It is designed to support highly collaborative activities that benefit from visualizing and interacting with information on a large surface, including structured processes such as agile, lean and design thinking. Span Workspace provides an expansive cloud-based digital canvas that can be tailored to suit virtually any collaborative activity. It draws upon familiar, simple and flexible tools including sticky notes, sketches, images, templates and screen sharing. Students contribute and interact with the content using their personal devices, whether a computer, tablet or smartphone, or directly on the Nureva Wall or interactive display. The Nureva Wall transforms collaborative spaces by creating large, ultrawide interactive surfaces that turn walls into expansive digital workspaces with high-performance multitouch and inking capabilities. The Nureva Wall is optimized for use with Span Workspace and can incorporate users’ preferred applications, including Microsoft® Office, Adobe® products and AutoCAD® software. For more information, visit the visual collaboration section on the Nureva website. The HDL300 audio conferencing system resolves the frustrating and persistent issue of poor audio pickup, especially in dynamic classrooms or labs where students move around the room. When combined with the Nureva Wall or other interactive display, the HDL300 system can also be used as the primary source for audio playback. At the core of the HDL300 system is Nureva’s breakthrough Microphone Mist™ technology, which places thousands of virtual microphones throughout a room to pick up sound from any location to ensure that everyone is clearly heard regardless of where they are in the room or the direction they are facing. The system uses sophisticated algorithms to simultaneously process sound from all virtual microphones to provide remote participants with a high quality listening experience, enabled by continuous auto-calibration, simultaneous echo cancellation, position-based automatic gain control and sound masking.